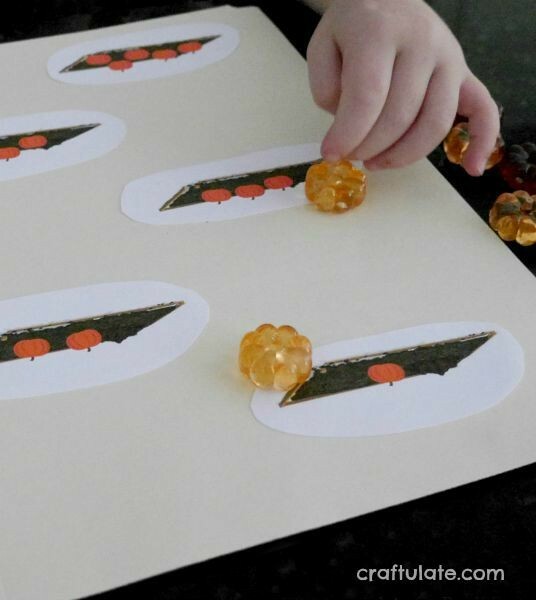 This pumpkin counting activity is the perfect file folder game for fall! Cut out all the pumpkins and pumpkin patches. 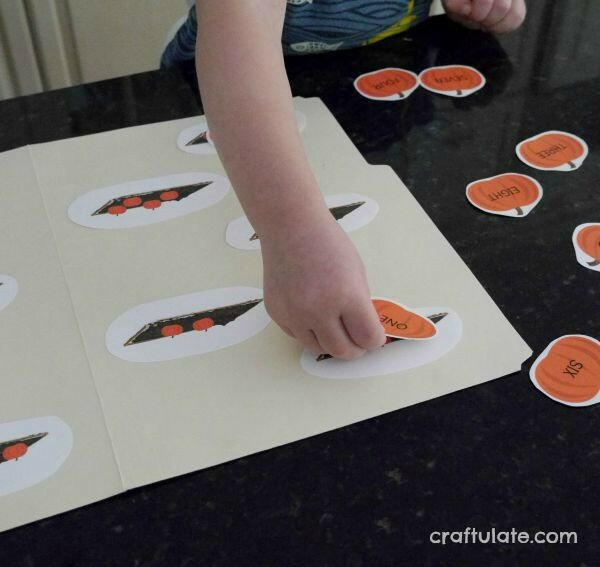 Glue the pumpkin patch images to the inside page of a file folder. 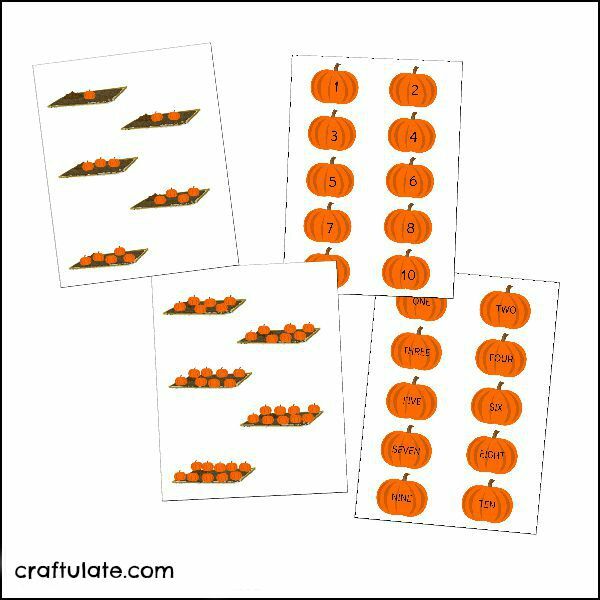 You might like to laminate the 1-10 pumpkins if they are going to get repetitive use. Top tip: Want to prepare this in a hurry? 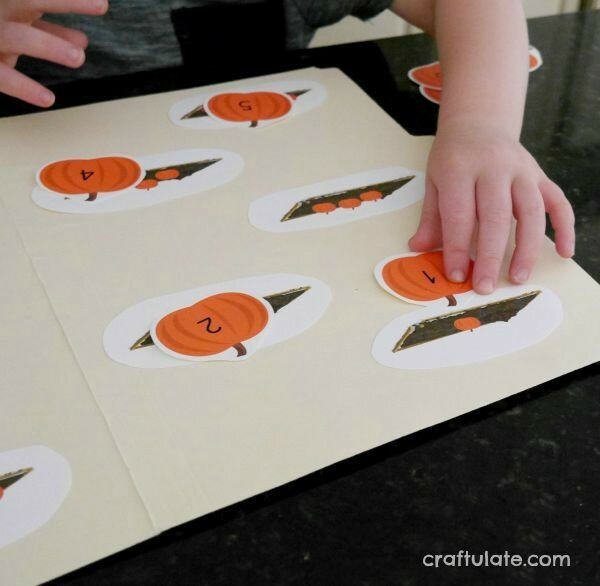 Just glue the whole page of pumpkin patches into the file folder and use a guillotine or paper cutter to cut the pumpkins into square cards. 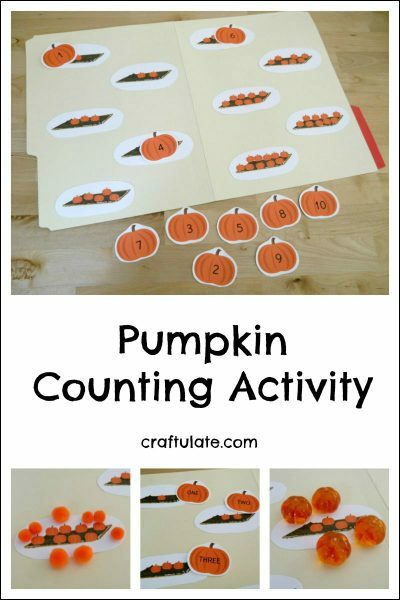 Invite the children to match up a numerical pumpkin to the correct pumpkin patch. My four-year-old son understood what he had to do without any explanation from me, and confidently added all the pumpkins correctly. We don’t do many of these type of activities at home so I was pleased that he knew what to do. I then gave him some little plastic pumpkins (I think they are supposed to be festive table scatter!) and he started to count them out and add them to the pumpkin patches. If you don’t have the plastic pumpkins then orange pom poms would be a wonderful alternative! 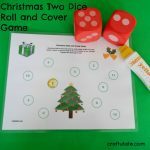 However, my son gave up after number five so I knew that we’d run this activity for long enough. The next day I tried him on the more advanced pumpkins that had words instead of numerals. I was quite impressed at how many numbers he could read! There are so many variations to this game – matching the pom poms or little plastic pumpkins with either the pumpkin patches, number pumpkins or word pumpkins. It would also work well as a group activity with everyone being assigned a pumpkin (or two) to place in the correct pumpkin patch. 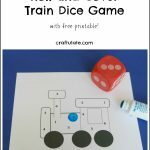 Don’t forget to download your free printable! Wow I love all the ways to play with this! Both my kids would really like this! 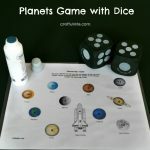 Thanks for the printable! WOW! this is great, thank you so much. Happy October!